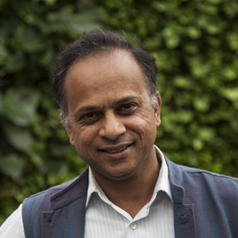 Professor Bhaskar Vira works at the Department of Geography at the University of Cambridge, where he is Professor of Political Economy. He is the Founding Director of the University of Cambridge Conservation Research Institute, and a Professorial Fellow at Fitzwilliam College. His research interests centre on the changing political economy of development in both rural and urban contexts, especially in India; and on political ecology, focusing on forests, wildlife and landuse change and the social context for biodiversity conservation. Bhaskar is closely involved with the Cambridge Conservation Initiative, and the Global Food Security Interdisciplinary Research Centre at the University of Cambridge.